#Norwegian NBT aims to #invest EUR 370 #million in a #wind #farm with a total #capacity of 250-330 MW in #Kherson region. In particular, the #company #plans on #constructing 64 wind #turbines on 1,300 hectares in Kherson region near #Syvash Lake via its Ukrainian #subsidiary SyvashEnergoProm LLC. On 6 September 2018, Norwegian company NBT AS signed an Engineering, Procurement & Construction contract worth EUR 292 million with Chinese company POWERCHINA for the construction of a large-scale wind power project in Kherson region. The signing took place in the presence of Ukrainian President Petro Poroshenko. The contract is part of NBT AS total investment of EUR 370 million in the wind farm. Five months earlier, in April 2018, Norwegian NBT acquired Ukrainian SyvashEnergoProm LLC operating a wind farm with a capacity of 3 MW and now intends to build a wind farm with a total capacity of 250-330 MW in the adjoining area. The total cost of construction of the wind farm is estimated to be EUR 369 million. 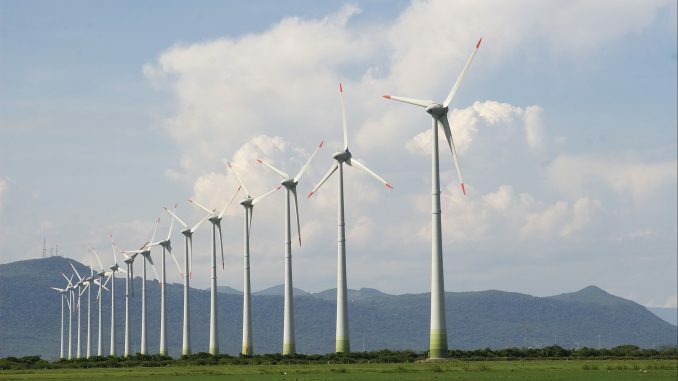 The project provides for the construction of 64 wind turbines on 1,300 hectares in Kherson region near Syvash Lake separating Crimea from mainland Ukraine. In addition, the European Bank for Reconstruction and Development (EBRD) will provide a long-term loan of up to EUR 150 million to SyvashEnergoProm LLC to finance the construction and operation of the onshore wind farm. As a result of the construction of the wind farm, more than a third of electricity consumption in Kherson region will be generated from renewable sources. So, 64 wind turbines should be built along the northern shore of Lake Syvash by the end of 2019. This is the first project of such scale for Ukraine, financed by investors and partners without additional bank guarantees. It is also a sign of an improving investment climate in the country. According to CEO of NBT, Joar Viken, in recent years, the business climate in Ukraine has significantly improved and the company’s decision to enter the Ukrainian market is based on the progress made by Ukraine. The Norway-based NBT AS, founded in 2004, engages in developing wind farms in emerging markets. It has offices in Norway, Cyprus, China, Singapore, Pakistan, and now in Ukraine. In April 2018, NBT acquired SyvashEnergoProm LLC in Kherson region, Southern Ukraine, with an objective to construct a wind farm with an installed capacity in the range of 250-330 MW.